We are a highly ambitious, entrepreneurial and analytical bunch of people with a strong appreciation for Design & Creativity. We're seeking an unbelievably talented Social Media Jedii to define and execute our social media strategy that builds upon what GetNatty has brought to Indian Fashion Designers so far. 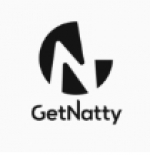 GetNatty is all about applying technology, data-driven decision making, and world-class operations teams to provide the best experience to Indian Fashionistas. These are early days. Come join us, and help us build a world class platform for every Fashion Designer and their target audience to Discover, Interact and Transact (with) each other. - You will need to work closely with the creative team on acquisition & retention - devising effective campaigns and possibly generate insights for social media strategy. - You will also be responsible for content marketing that can help our brand, as well as the new private labels that we will be launching from time to time. Content marketing includes produce content - video, image or blogs; whats-app marketing, influencer campaigns etc. - User Generated Content (UGC): You must keep the audience engaged. - Analyze digital assets of competitors, e-commerce and fashion brands in order to ascertain best practices and implement the same for GetNatty. - Explore all social media avenues. Social is not only about Facebook and Instagram- it is also Twitter, Pinterest, LinkedIn, YouTube, Tumblr etc. - You will be responsible for identifying strategic alliances opportunities for GetNatty. You will take charge of online as well as offline partnerships. - 1-2 years of strong social media marketing experience. - A strong track record in brand and consumer marketing experience. - Have strong understanding and prior work experience on social media tools for analyzing engagement rates, SOV, FB/Insta/Twitter fan analysis, fan growth, organic growth vs inorganic growth etc. - Ability to set goals and execute under tight deadlines. - Experience in/around a start-up culture a plus - i.e. you can adapt to quick changes within both the company and mobile industry. - An understanding of the nuances of both the demand and supply side of a marketplace. - Understanding of Offline PR is a big plus. The single most important thing we are looking for is Grittiness, which is nothing but a combination of PASSION AND PERSEVERANCE. We are a start-up and there is always more work than people can handle. You should be eager to shoulder more responsibility and drive innovation without constant supervision. Call me on 9099911910 if you are certain that you can spearhead this role. Founder at GetNatty Designtech Pvt. Ltd.